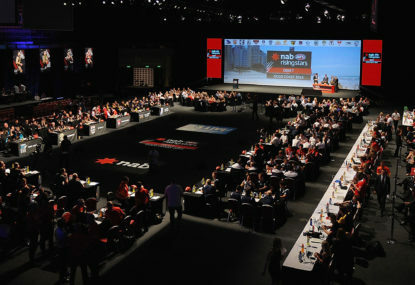 After one of the most chaotic and vertigo-inducing trade and free agency periods of the modern era, the order for the 2018 NAB AFL Draft is set. With clubs now having the power to trade picks up until draft night (including on draft night itself), expect the draft order below to change quite dramatically before November 22. With this draft class being spoken about as one of the best in recent memory, as well as the likelihood of a bunch of academy bids expected, the new stand-alone Round 1 looks like it could go on forever. Bearing in mind just how implausible it is to predict how the first round will unfold given all the variables, below is any early prediction as to how the first round might unfold, 1 month out from the real thing. Though I discussed how the Blues couldn’t afford to pass on South Australian key forward Jack Lukosius in an article during the season, I’ve come to my senses. 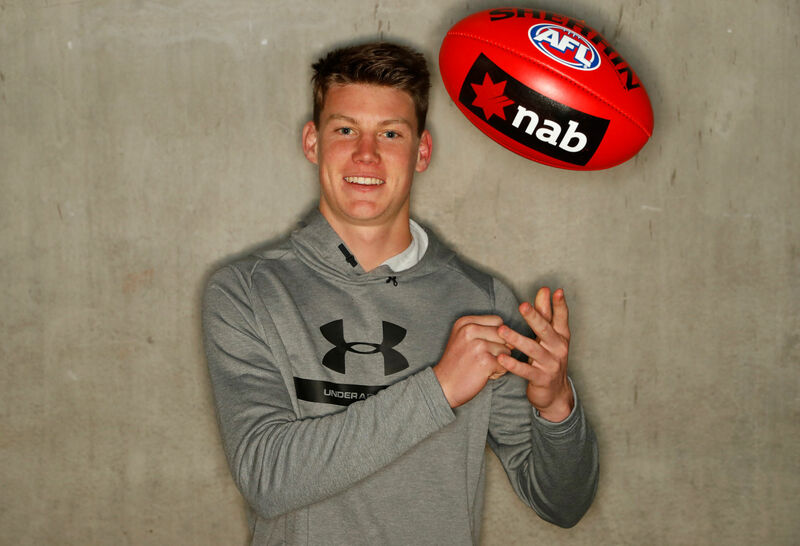 Walsh would add another exciting prospect to an all-of-sudden budding midfield group of co-captain Patrick Cripps, Paddy Dow, Will Setterfield and Zac Fisher. Dare I say bust proof? Really intrigued as to what the Suns will do if they hang on to both picks on draft night. Taking the King boys would be one for the romantics, while also filling two huge areas of concern. Max is the key forward capable of pinch-hitting in the ruck who, despite a devastating ACL injury early in the season, would still be worthy of the second overall pick. The best defender in the draft, Ben played up forward for the Dragons this year after Max went down with an injury. Capable at both ends, but should slot in at fullback for the Suns from day one. Awkward position for the Saints, as the supremely talented Lukosius doesn’t exactly fill a ‘need’. However, it would have been unfathomable six months ago to predict Lukosius would fall to pick four. Clearly best player available. Port get their wish by adding South Australia’s second-best product at pick 5. Rankine is a supreme talent who gets better as the occasion gets bigger. A freak who arguably boasts the most naturally gifted talent in the draft class. Didn’t have the year he wanted due to persistent injuries, but the 195cm specimen still showed glimpses of his enormous potential. Expect a bid to come around this mark for the Swans next academy gem. The Suns should keep it simple here and take the best midfielder at this point. That’s Smith, a quality, well-rounded midfielder that possesses speed, endurance and ball-winning ability. Caldwell is another who was hampered by injuries seemingly all season. Still, recruiters would have seen enough to know that the hard-working inside midfielder would be a valuable addition to any engine room. A really exciting local prospect with a bag of tricks that, in all honesty, would be a steal at pick nine. Has the ability to have an impact off half-back, in the middle or on a half-forward flank. The 189cm midfielder was another who didn’t quite have the season he would have liked due to injuries and inconsistencies with form. Some believe he may slide in the draft but whenever the bid comes, the Roo’s will pounce (or bounce?). The Giants have lost quite a bit of outside run with the losses of players such as Nathan Wilson and Tom Scully. With Heath Shaw nearing the end as well, Clark would be a nice heir apparent to play the quarterback role off halfback. The Power go back to the South Australian well. Hately, another big midfielder at 190cm, can also go to halfback and have a profound impact on the game. Stocker has been one of the draft bolters after missing time with a broken jaw earlier this season. Mature bodied already with a good kick on either foot. Athletically gifted medium forward who come on late this season. There is generally a shock in round 1, and the Cats have a history of pulling draft night surprises. With the elite South Australian talent off the board, the Crows turn to the young cousin of Fremantle’s Stephen and Brad. Ian is lightning fast and capable of the spectacular. Butters is a classy ball user who would add some outside dash to the Dockers. Lauded among recruiters for his character, Butters season ended prematurely after shoulder surgery in July. The Pies are getting a quality prospect in the versatile rebounding Backman. A bid this late in the opening round would be a bonus. The Power will be looking to replace some run and carry lost by the departures of Polec, Pittard and, to a lesser extent, Wingard. Duursma is a rangy, versatile player capable of restocking the Power’s run and carry arsenal. The Crows may consider taking another South Australian prospect here, but Jones is probably the best available at this stage. A no fuss midfield talent with pace and above average foot skills. A really interesting midfield prospect at 193cm. RCD’s ceiling is as high as any in this draft. Could be a special talent with the right coaching and development. Another bulldozing midfielder ready to potentially have an impact in the emerging Lions midfielder from round 1. While unlikely to help the Giants immediately, they could sure up their ruck stocks with the highly talented Williams. The jury is still out on where Williams plays his best footy, but GWS will be happy to find out.